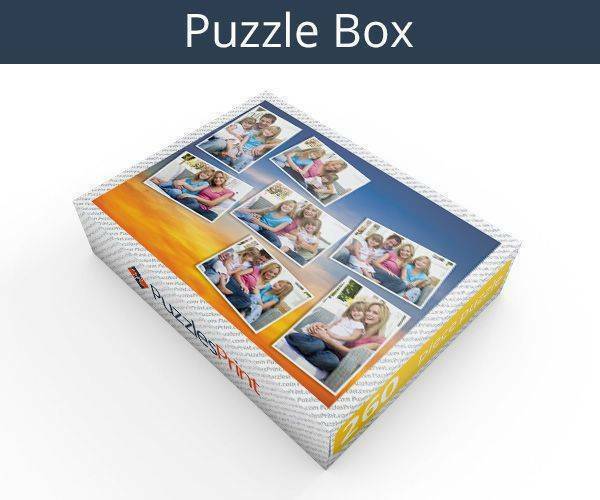 260 piece photo collage is a nice photo gift! 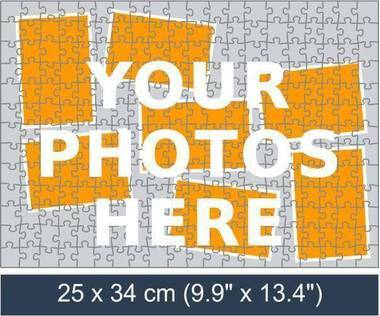 If you want to create a unique gift that will be remembered and treasured for a long time, we can offer you to create a 260 piece photo collage jigsaw puzzle! You can personalise our photo collage template with photos of your choice, to make it even more personal you can add a text message to your photo collage. 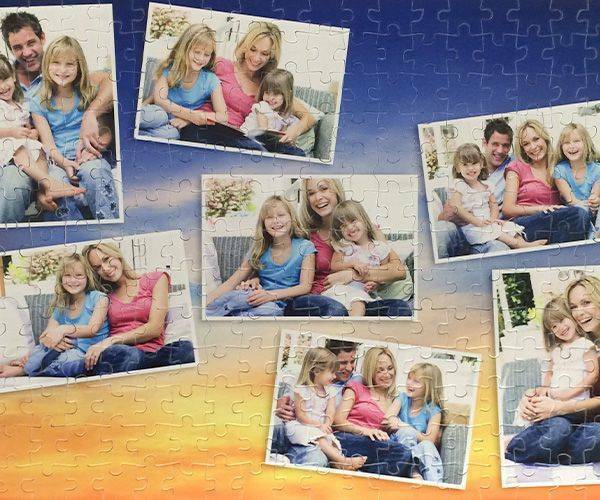 260 piece photo collage jigsaw puzzle will be presented in a beautiful box that will have your photo collage printed on its lid! Pictures are often looked at when they are first taken and then forgotten about. They don’t get the use they should as there is not a lot that can be done with them. Now you can see them a lot more as thanks to a 260 piece collage photo jigsaw puzzle they will be seen a lot more. 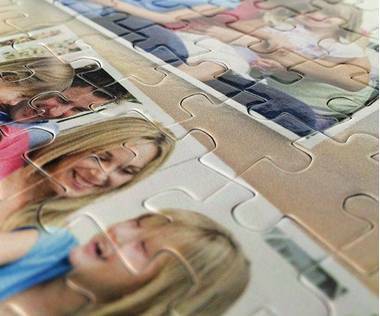 It also means the jigsaw is certainly worth the money as it is not completed once and then dumped back in the box. The pictures are easy to place on the background and they can be anything you choose – stick to a theme or select random occasions. They will be fitted into place with care and will turn out just as you would expect. Once pictures are turned into a jigsaw, they will be easily accessible and will be made up again and again. There is nothing like a personal topic to make people want to show the finished product off and it will be easy to do this. For photographs that you want to be noticed, photo collages is a must. It may be that you are the first of your family and friends to own one, but it is unlikely that you will be the last. Everyone will have their own idea of pictures that would be best suit 260 piece photo collage puzzle and the perfect thing is that there does not have to be rhyme or reason for the collection. Choose what you want and place the order. 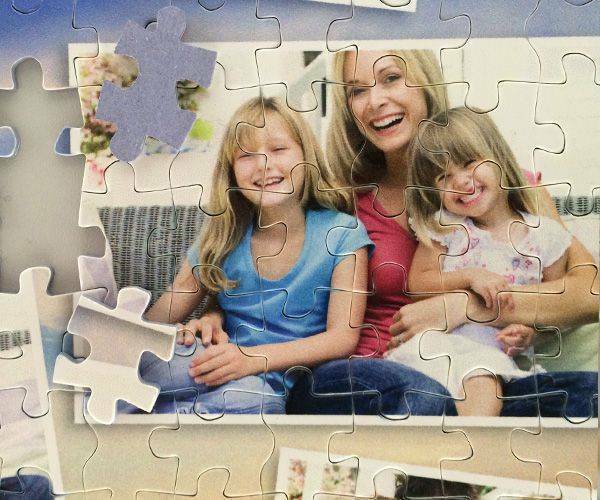 First-time buyers have been impressed by the way the finished 260 piece photo collage jigsaw looks. 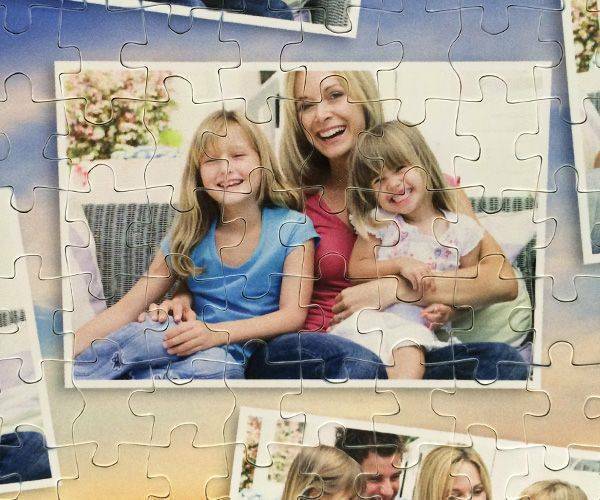 There are no gaps between the pieces so none of the photographs looks strange. They are as high quality as they would be if you printed them off or showed them on a top of the range laptop. Each 0.69” x 0.75” piece is going to slip into place like a dream. Once the pictures are in place there is nothing else that you need to do other than arranging how you are going to pay. Delivery can normally take a little over a week but at busy periods it will be best to leave a little longer to avoid disappointment.